When Henry VIII (1491 – 1547) ascended to the throne of England in 1509, the lute did not play the prominent role in English society and culture it would come to hold by the end of the 16th century. In addition to his matrimonial activities, waging war in France, and reforming the church, it is well known that Henry VIII was an enthusiastic musician, and even composer. He invigorated and developed the musical aspects of life at the English court in the first half of the 16th century far beyond what they had been under previous English monarchs, employing dozens of musicians, including lutenists (or lewters, as they appear in contemporary account books). Before Henry VIII, the English court was still heavily influenced by Burgundian culture, and use of the harp superseded the lute there until the end of the 15th century. The lute rose to prominence in England by the second half of the 16th century, lagging behind much of the continent by a couple of generations. Until the end of the 15th century, English court musicians were employed as members of the Presence Chamber. 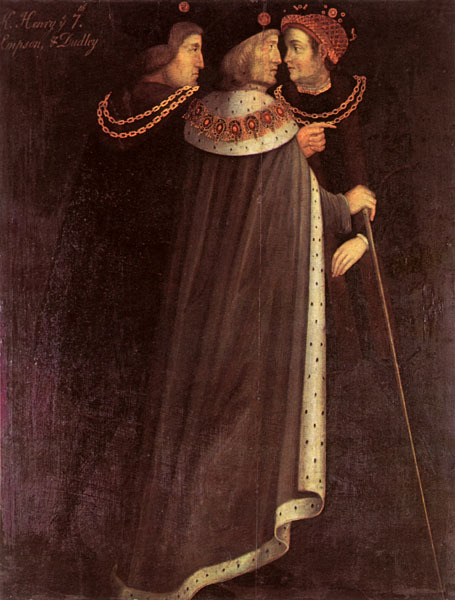 Henry VII (reigned 1485 – 1509) reorganized the court and government in imitation of French practice in the last decade of the century, establishing the Privy Chamber, consisting of those members of the court (gentlemen) with whom the King was most intimate, and a support staff of ushers, grooms, pages – and musicians. Royal musicians were divided into the bas or still type and haut or loud type. This conception and division of instruments into “indoor” or “outdoor” types dates from at least medieval times. The loud instruments included trumpets, shawms, horns, and percussion, and the still instruments included recorders and flutes, portative organ, and string instruments – including lute. Beginning in the 1490s, royal lutenists at the English court (as musicians who played still instruments) were employed as members of the Privy Chamber. Playing the lute became a Tudor family pastime. Henry VII gave a lute to each of his children, and all of Henry VIII’s children learned to play the lute as well. The literary, artistic, and musical environment of Henry VIII’s court provided a fertile ground for the growth and development of an English lute music, although at first most of Henry’s lewters were not English, and not much English lute music survives from the first half of the 16th century. From 1501 – 1535, a musician named Giles Duwes was employed as “Lewter and Mynstrel of the chamber” (under Henry VII and Henry VIII successively), and his son (also a lutenist) Arthur Duwes joined him in service to Henry VIII from 1510 – 1540. It was not uncommon for a son to follow his father in the lutenist profession, and English court records testify to several examples of this throughout the 16th and 17th centuries. 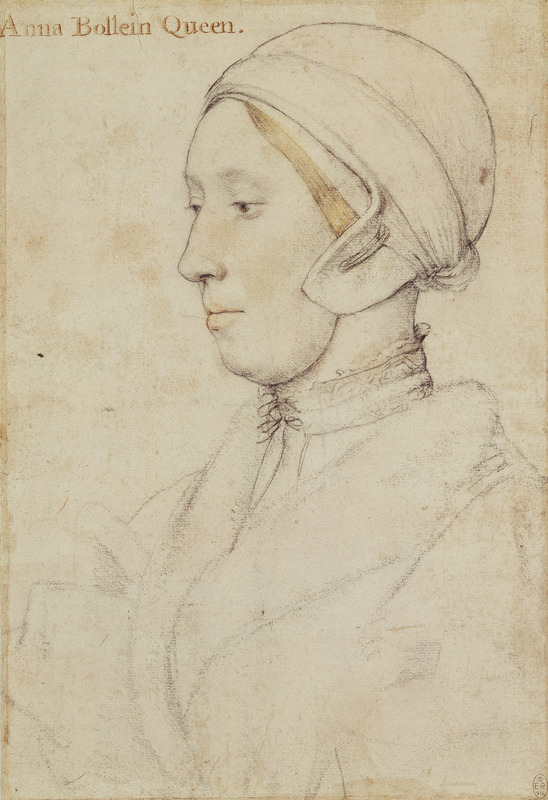 Giles Duwes may have been French – his initial employment at court was as French tutor to Henry VII’s children. If so, he was only one of several continental lutenists who made their way to the English court and contributed to the establishment of what would become a distinct English lute school by the end of the 16th century. John Peter de Brescia was one of several Italian lutenists who were present at the court of King Henry VIII. He was one of the king’s favorite musicians, and his name appears in court accounts under a variety of (English and Italian) styles from 1512 until sometime in the 1530s. 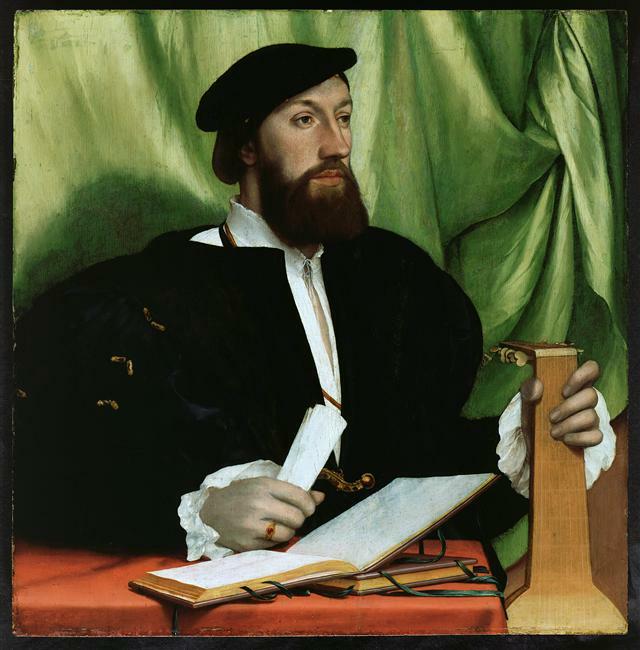 John Peter traveled between England and Italy during this time as well, including a diplomatic trip in service to the English king as messenger to Duke Alfonso d’Este in 1517. Alfonso sent a lute back to England with “Zuan Piero” as a gift for the king, accompanied by a letter in which he praised John Peter’s musical skill. There is also speculation that the lutenist whose music is featured in the famous Capirola Lute Book may have visited the English court in 1515, or even may be identical to John Peter, but alas, there is currently not enough evidence to make any assertion about it. 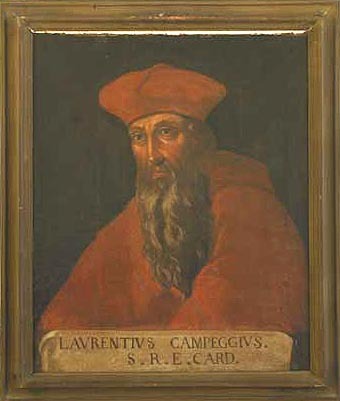 In 1528, Lorenzo Campeggio, the last Cardinal Protector of England, arrived in London to listen to Henry VIII’s case for his intention to divorce Catherine of Aragon (his first wife). At some point during his visit he was accompanied by Albert de Rippe (Alberto da Ripa), one of the most celebrated Italian lute virtuosi of the early 16th century, who was a countryman and rival of Francesco da Milano. Henry VIII may have attempted to lure Albert into his service, but by the following summer Albert had already accepted service with Francis I of France, and would remain there until his death in 1551. The most accomplished and important lutenist in England in the first half of the 16th century was probably Philip van Wilder (c.1500 – 1554). The Van Wilders were something of a family musical dynasty in early 16th century England: four were employed as musicians at the Tudor court. Matthys de Widre, who appears as a musette player in Burgundy in 1501, may have emigrated to England and been the lute and viol player who found service as Matthew van Wilder at the court of Henry VIII from 1516 – 1517. Philip and Peter van Wilder may have been Matthew’s sons: both were lutenists, and both were employed at Henry VIII’s court – Peter initially as musician beginning in 1519, and then as Groom of the Privy Chamber from 1553 – 1562, and Philip who began as lutenist in 1525, was promoted to musician of the Privy Chamber in 1529, then to Gentleman of the Privy Chamber a decade later. Philip’s oldest son Henry van Wilder (obviously named for his father’s royal patron), too, found employment as Musician of the Privy Chamber from 1553 – 1557 under Mary I. Its is significant that there are a number of instrumental pieces in the famous Henry VIII manuscript, including some attributed to Cornish, Isaac, and Agricola, and that they can be played on lutes. Could these pieces have formed part of the repertory the Van Wilder trio were playing on lutes around 1515, and might some of the pieces have been brought by them from the Continent to England? Given that we now believe there was a tradition of playing complex contrapuntal music on lutes and gitterns on the Continent in this transitional period, with each instrument taking a single line and playing from mensural notation, it is likely that foreign musicians introduced it to England. Philip van Wilder composed more than 40 works which have been identified so far by musicologists, primarily polyphonic vocal music: 30 chansons, as well as some motets and miscellany. A few lute pieces (in manuscripts dating from after his death) have been attributed to him as well. Philip’s Dump by Philip van Wilder performed by Magnus Andersson, Lute Society of America seminar, Cleveland, 2006. 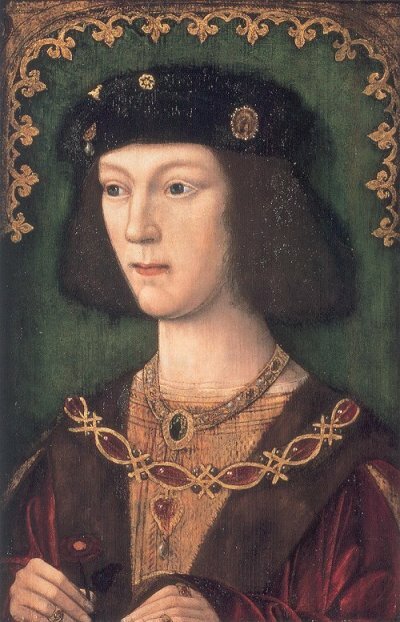 Henry VIII must have been very pleased with Philip van Wilder’s service, for he rewarded him handsomely, bestowing upon him import licenses, land, and increasing responsibility at court. Philip supervised the “Synginge Men & Children” of the Privy Chamber – who undoubtedly performed some of Philip’s own compositions – and he also curated and maintained the royal instrument collection. The inventory of “Instruments at Westminster in the charge of Philip van Wilder” compiled upon the death of Henry VIII in 1547 is robust indeed, and includes 5 bagpipes, 2 clavichords, 18 crumhorns, 17 cornetts, 13 “dulsenses”, 2 fifes, 42 flutes, a gittern, a harpsichord, 20 regals and 18 virginals, 6 organs, 49 recorders, 9 shawms, a taberde, 29 viols, and 25 lutes. One figure at Henry VIII’s court who contributed to the cultural prominence of the lute was the poet and politician Sir Thomas Wyatt (1503 – 1542). Sir Thomas the Elder was heavily influenced by Petrarch and is credited with introducing the sonnet to England. It is not known whether he played the lute, but he personified the instrument in two of his most famous poems: Blame not my lute and My lute, awake. Sir Thomas was rumored to have had an affair with Anne Boleyn in 1522, or at least to have fallen in love with her, long before she caught the attention of the king (Anne Boleyn was Henry VIII’s second wife and the mother of Elizabeth I – they were married in 1533). Anne Boleyn played the lute well according to contemporary accounts, but her musical pursuits may also have led to her downfall: she was accused of adultery with Mark Smeaton, a Flemish musician who was employed at court, and both were beheaded in 1536. Mark was a singer and also played several instruments including the lute. Catherine Howard – the king’s fifth wife – learned to play the lute and virginal in her early teens from Henry Manox, who testified that he had molested her during music lessons in 1536 when Catherine was being investigated for adultery five years later. 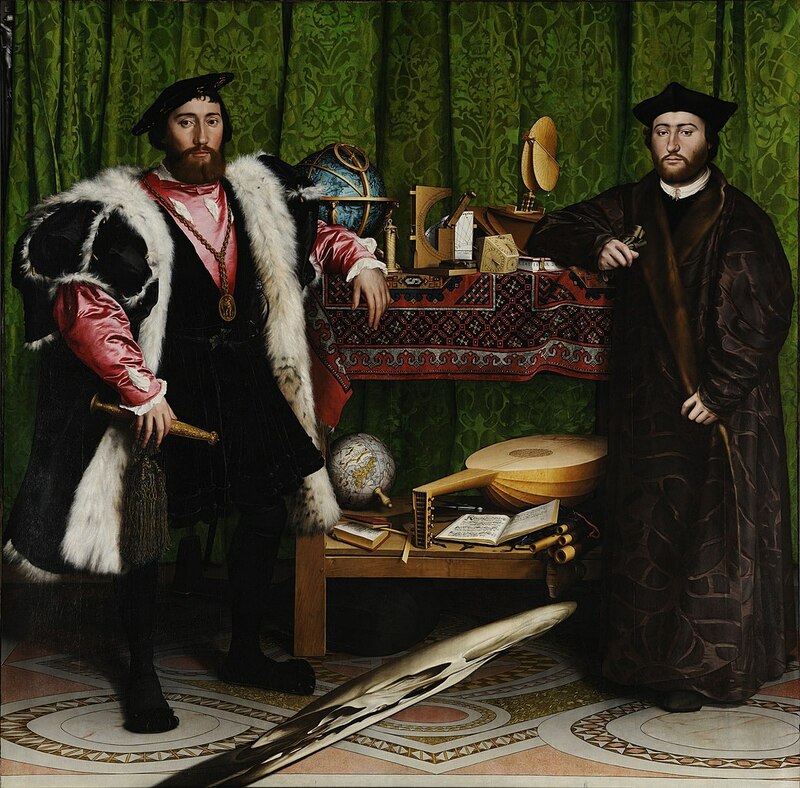 The Ambassadors (1533) by Hans Holbein the Younger, National Gallery, London ~ Depicted are (l) Jean de Dinteville, French ambassador to England, and (r) Georges de Selve, Bishop of Lavaur. There are many symbolic aspects to this famous painting including the anamorphic skull image in the foreground and the inclusion of books, instruments, a globe, and other items. Note the very detailed lute with broken string and Lutheran hymnbook! 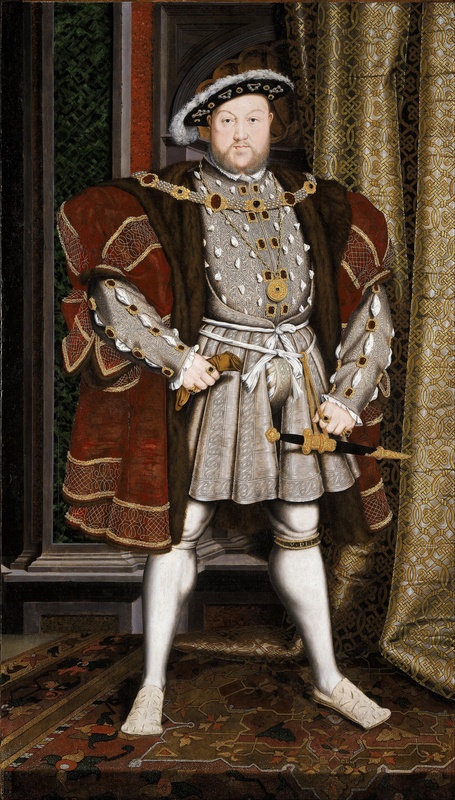 Henry VIII reigned for nearly four decades. Through his patronage as well as his personal musicianship, the king and his lavishly rewarded court musicians promoted secular music-making generally – and the lute specifically – to an unprecedented stature of cultural prominence in England. Social climbers at court mimicked royal behavior in a multitude of ways including the adoption of musical pursuits as both fashionable and instructive – the nobility engaged lute tutors for their own children, hired musicians, and learned to play the instrument themselves. By mid-century the lute was well-established as the foremost instrument of the day, and a new generation of English musicians had begun to create a dynamic repertoire of their own. By walterbitner in Early Music, Music, Renaissance, The Lute on April 27, 2018 . Very informative! A great article.